Low and behold – we were driving past the Minden Park today and there was a pay phone! A relic. Take your children and grandbabies and let them make a phone call. 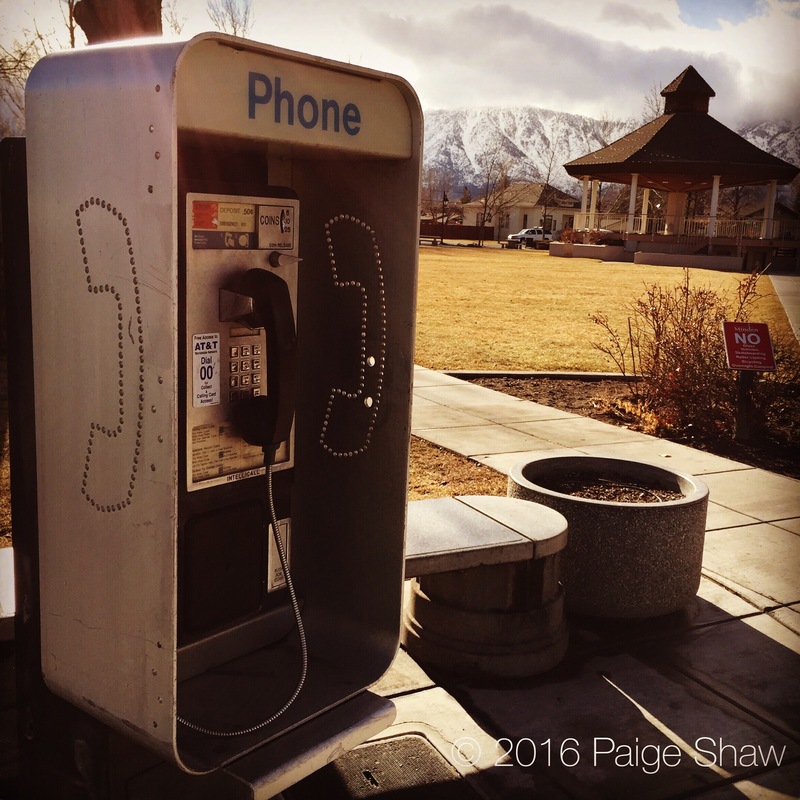 This entry was posted in Photo of the Day 2016, USA and tagged Carson Valley, Minden, Nevada, Pay Phone, Photo of the Day, Photography on January 19, 2016 by Paige Shaw. We watched a movie made in 1992 yesterday and they used pay phones to conduct business. I had commented to Bill that today’s kids won’t know what a pay phone is. So driving by one today was ironic. I date myself, but my first job after high school was collecting coin boxes out of payrphones in Detroit for Michigan Bell Telephone Company. I can relate to the phone in the park. We had Chappy over for dinner tonight and me made a comment about the work force it must have taken to empty all those coin boxes. You made that statement come to life. Thanks for sharing! I went to telephone operator class in my senior year of high school. We were taught how to listen for the amount of change that was deposited to make a long distance phone call amongst other things. Yes, now while there are a few left!